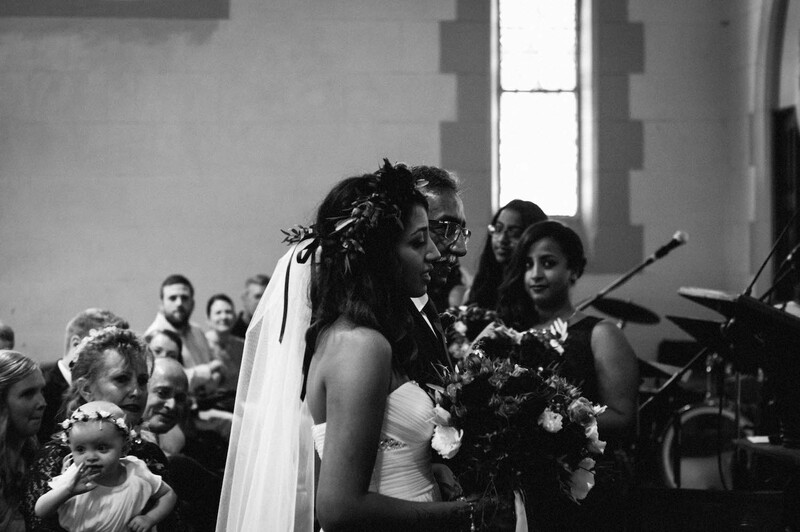 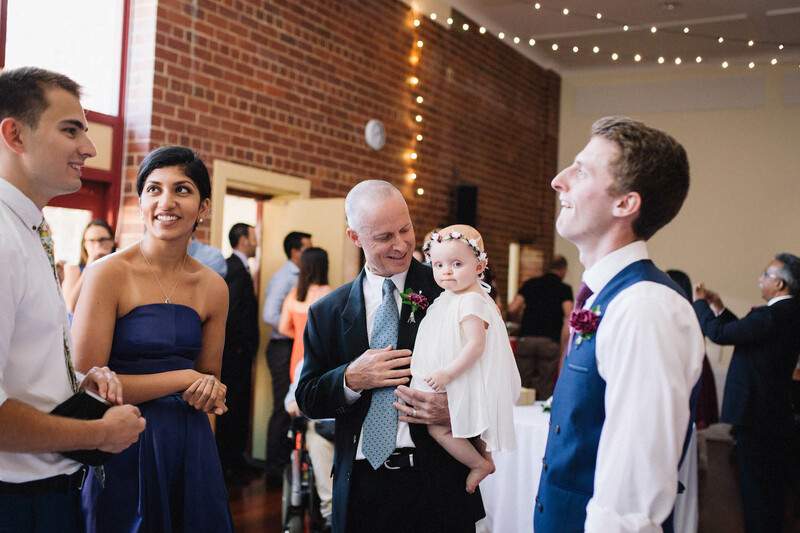 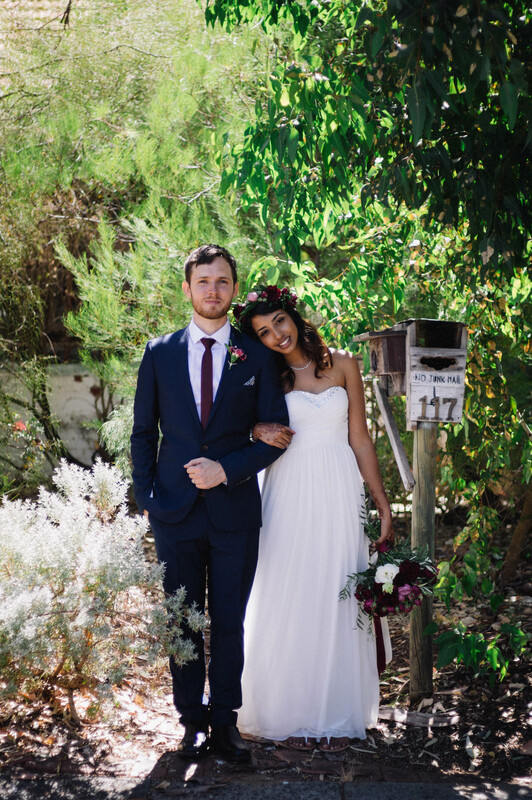 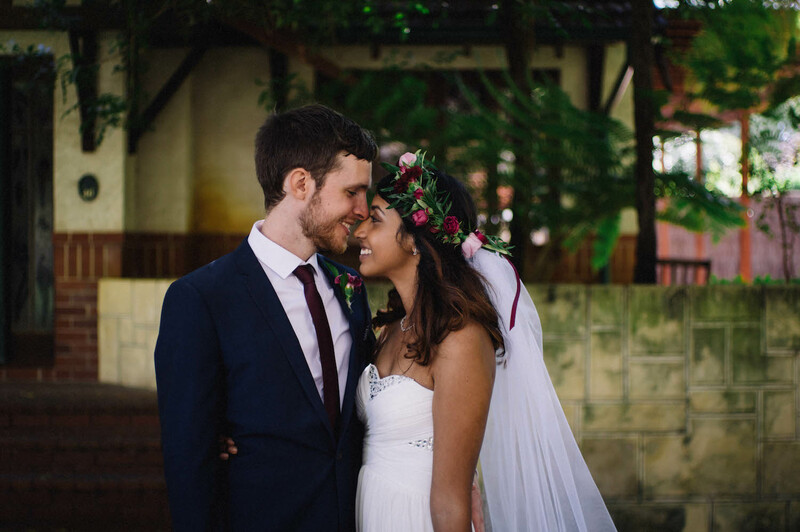 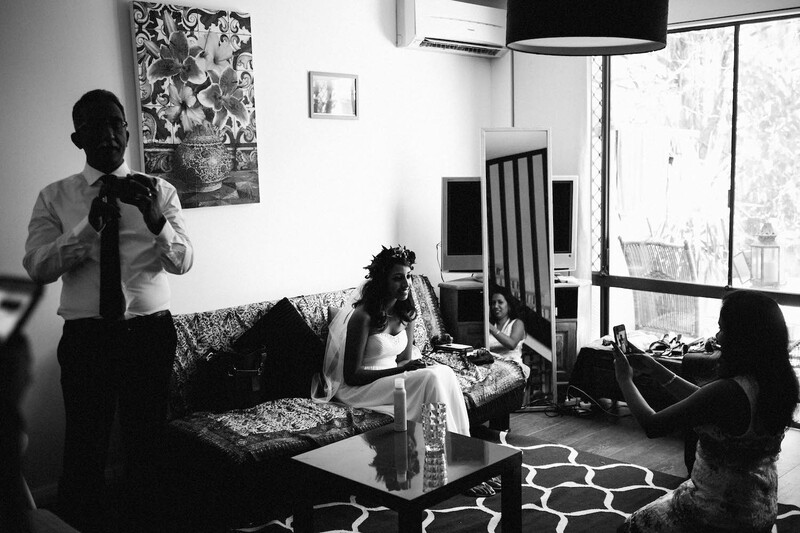 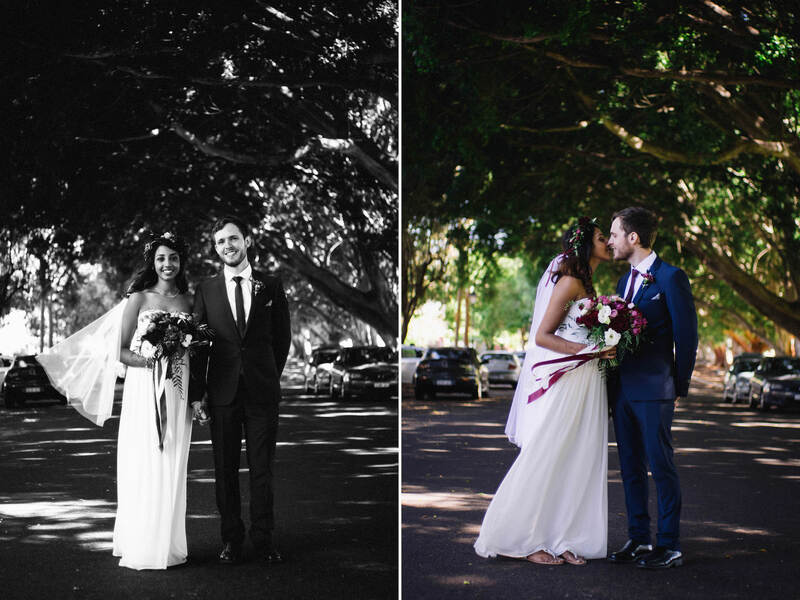 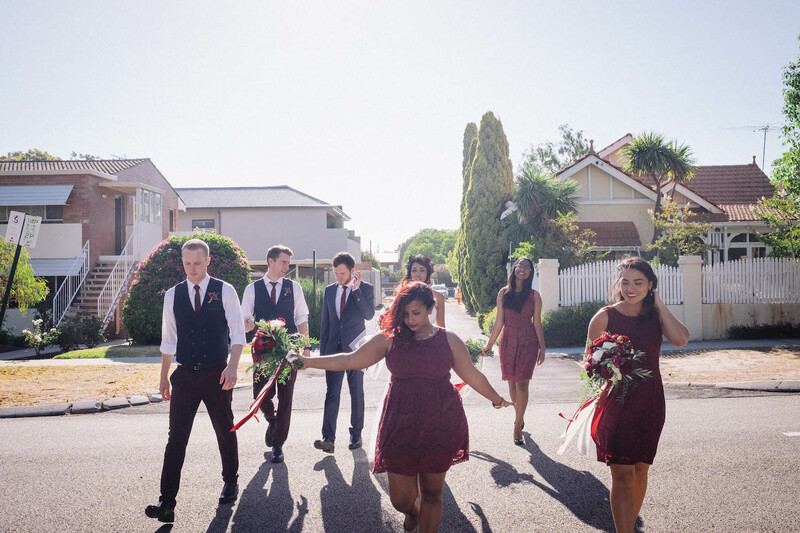 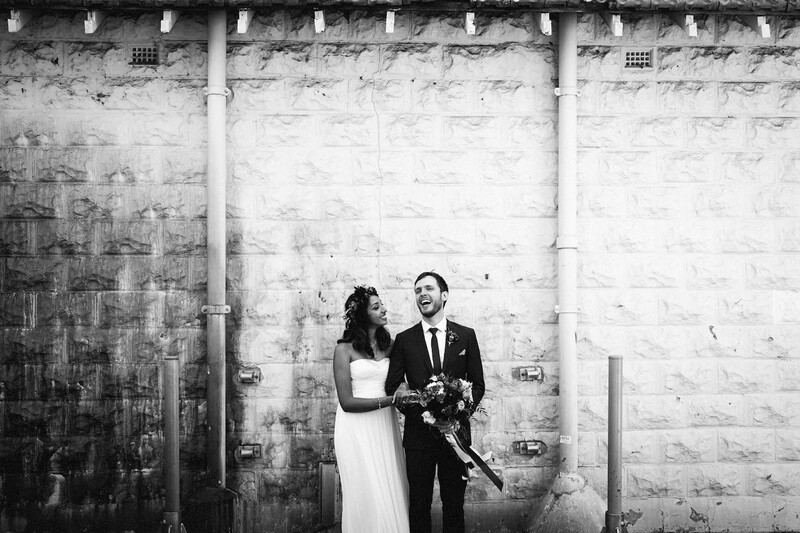 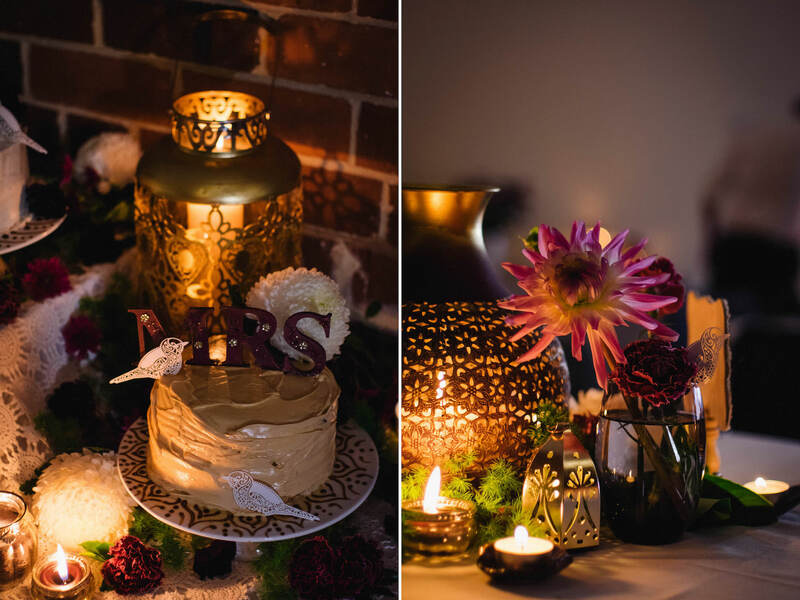 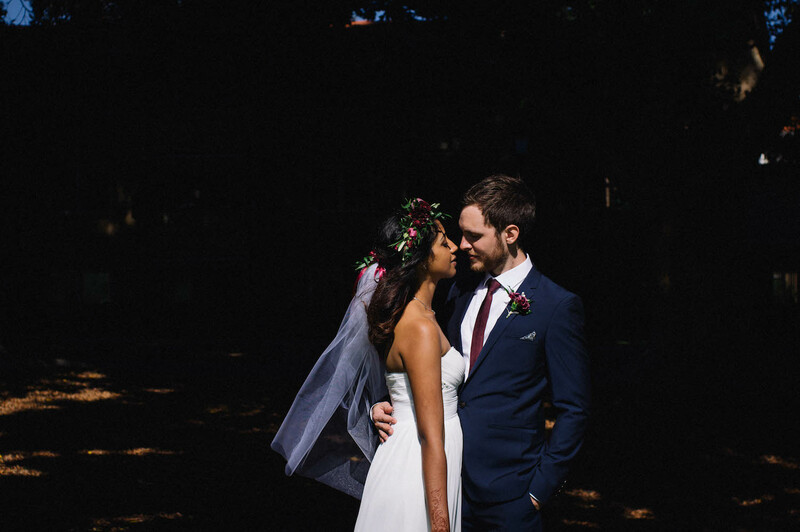 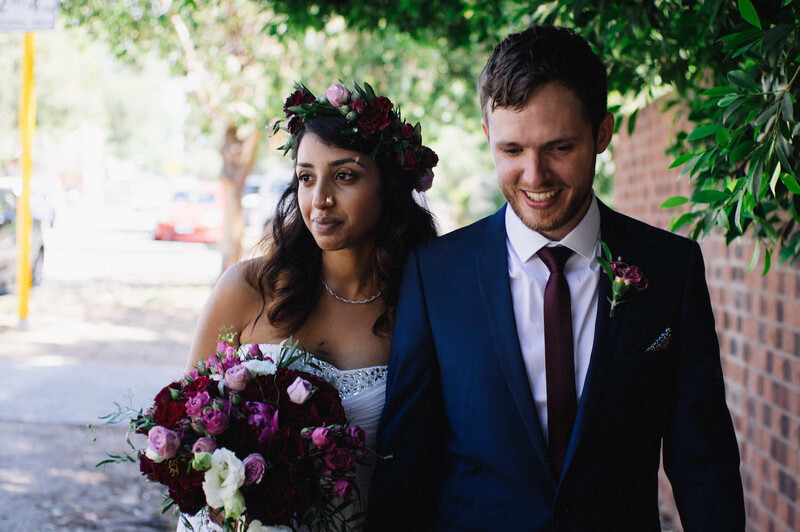 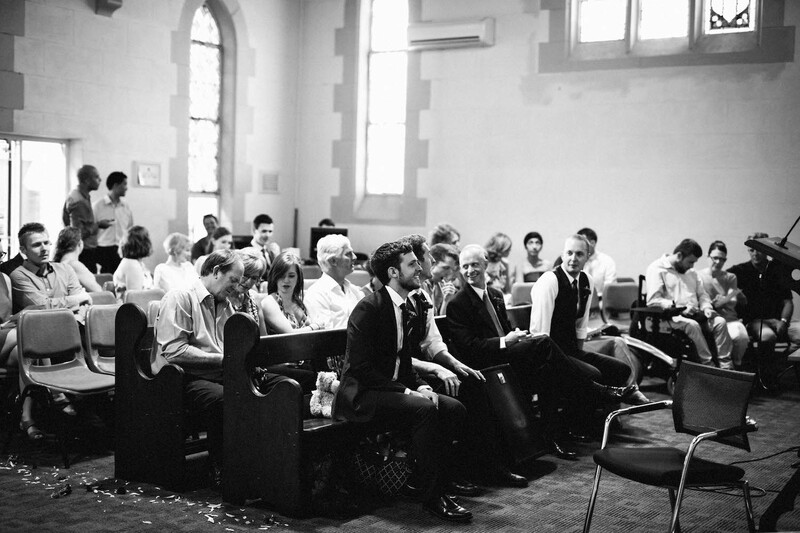 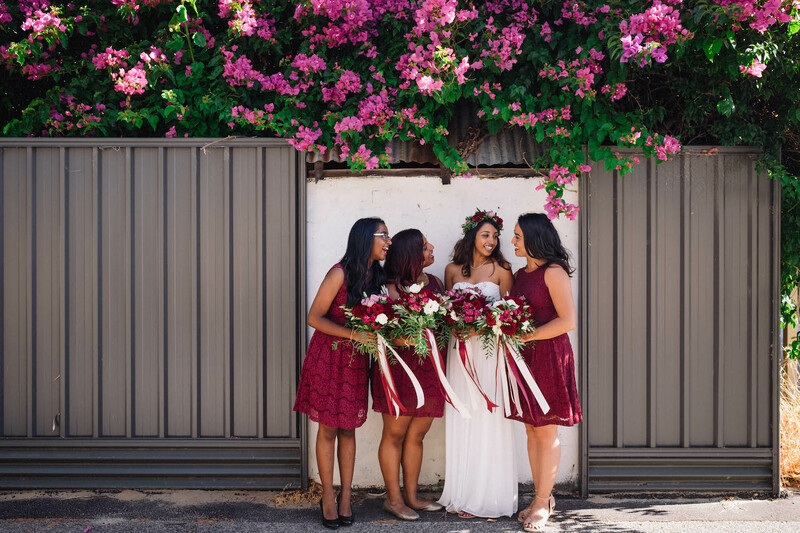 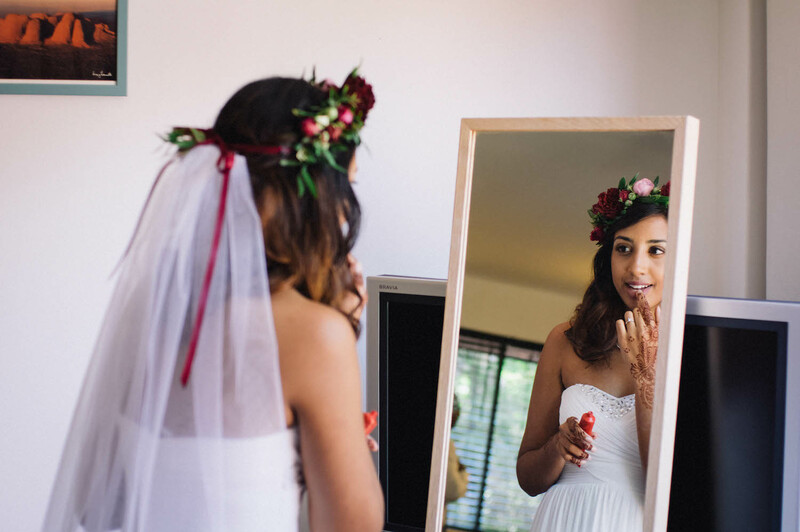 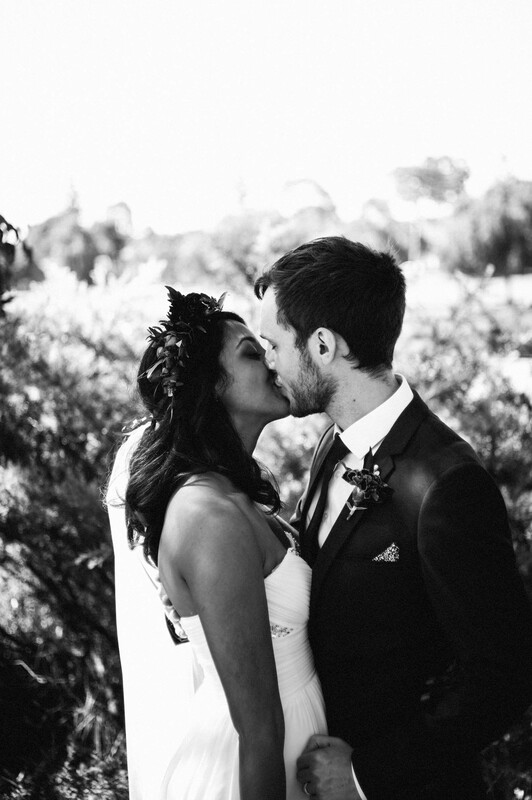 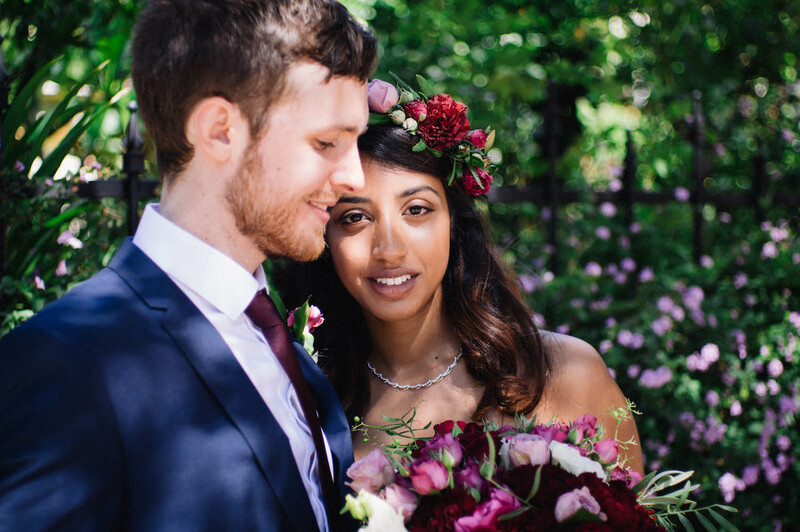 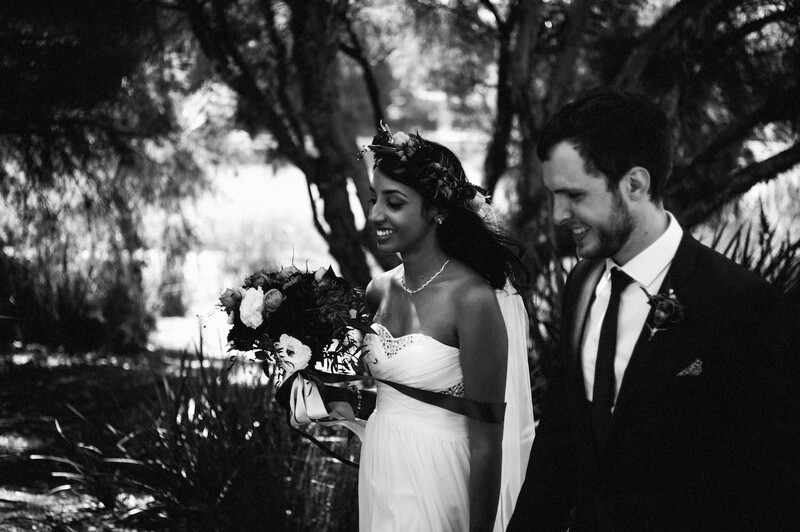 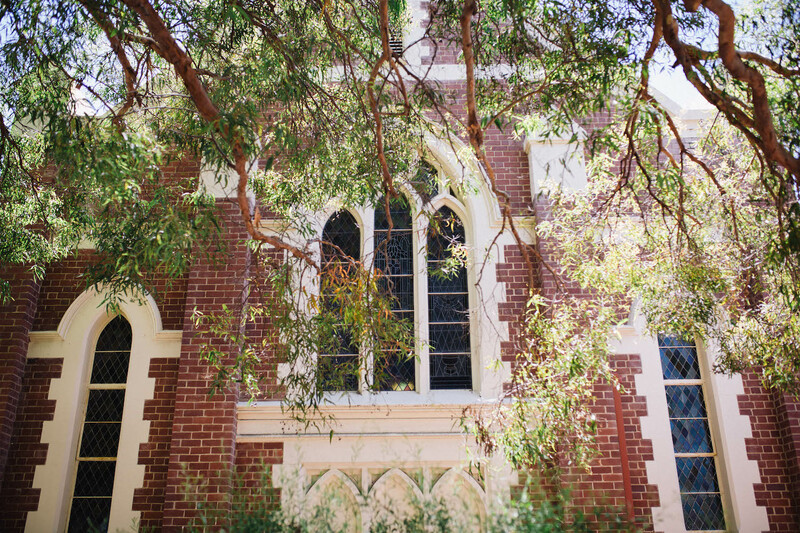 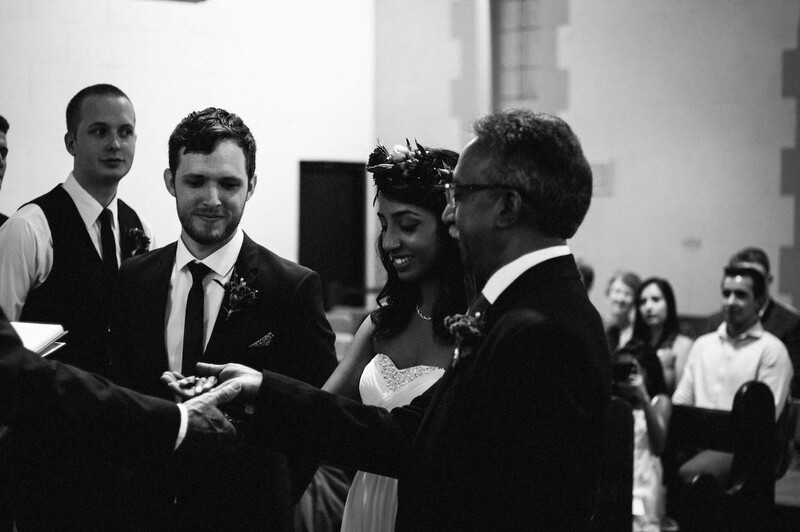 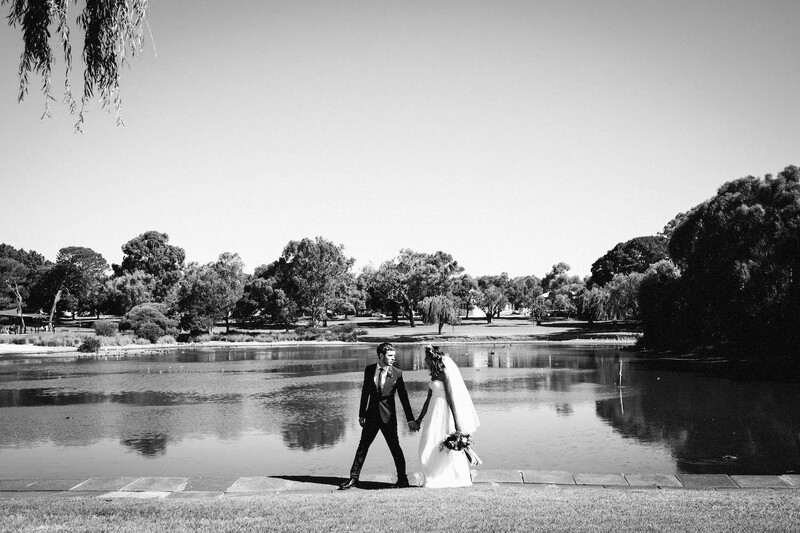 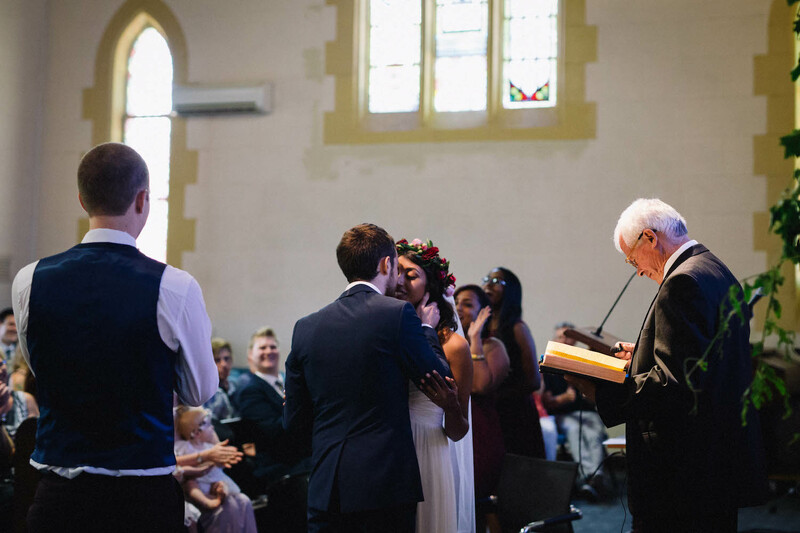 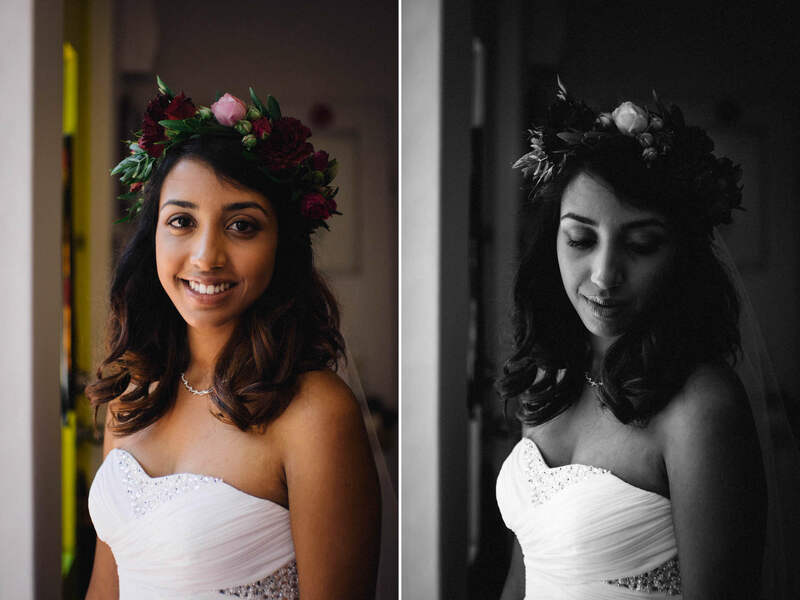 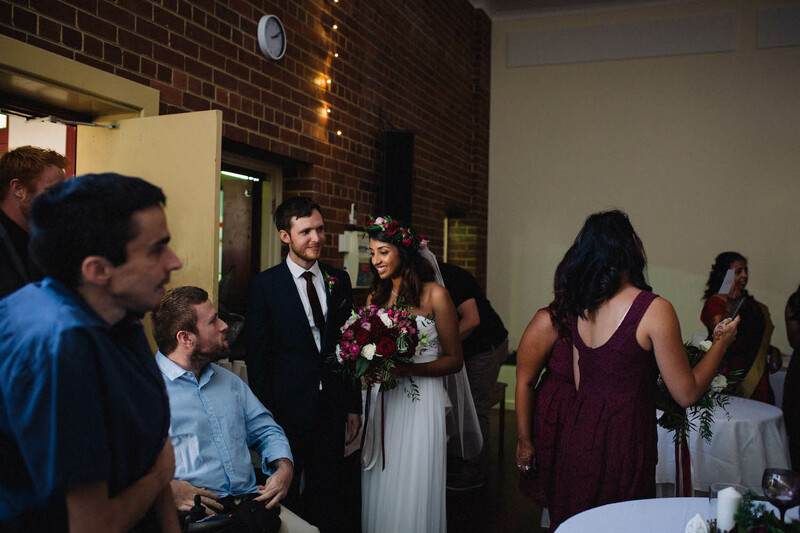 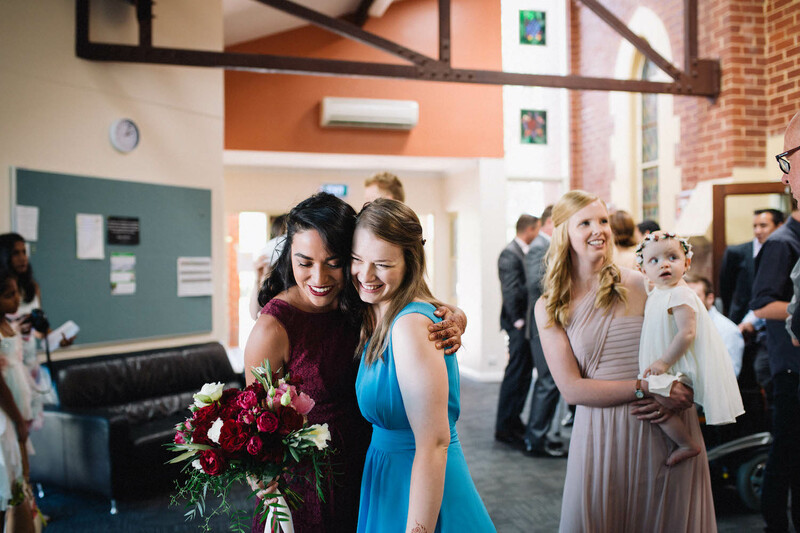 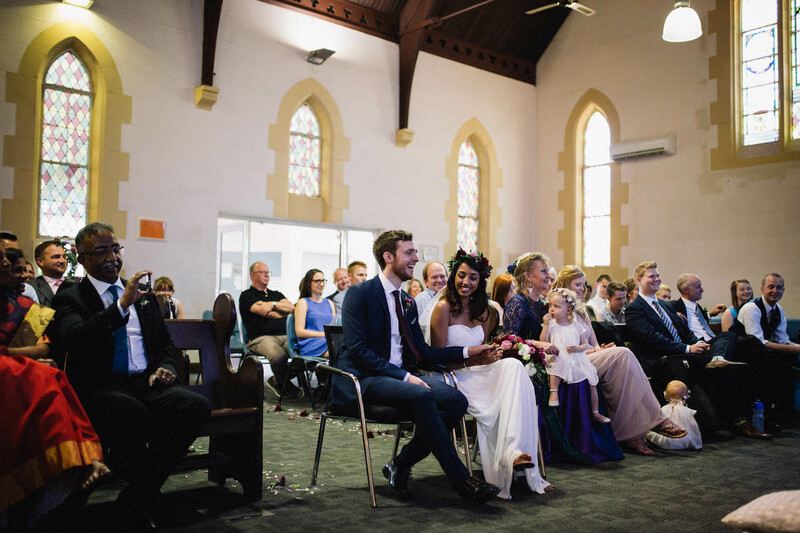 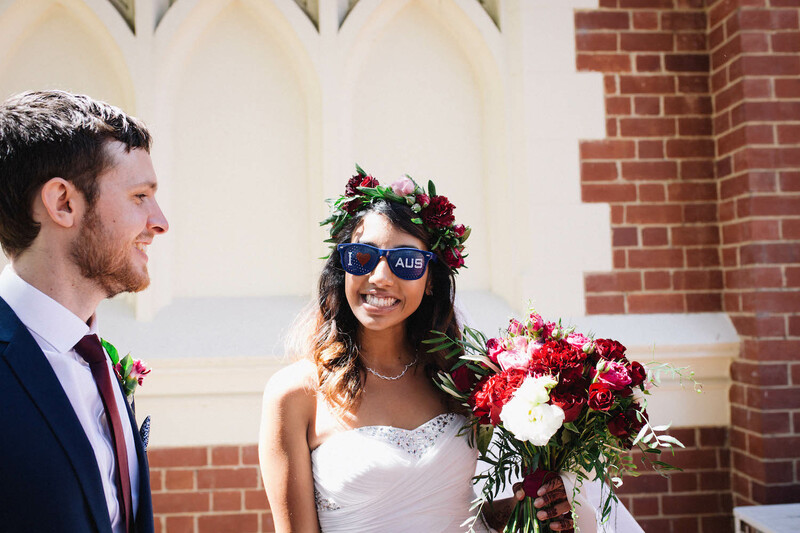 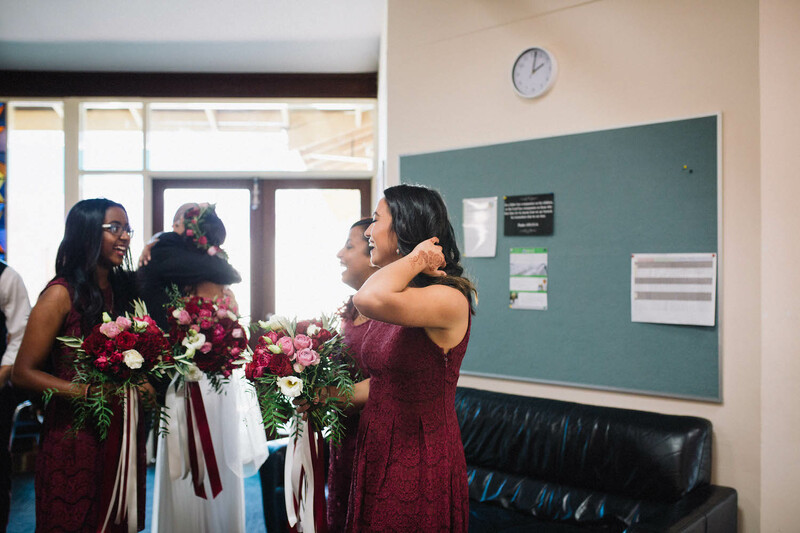 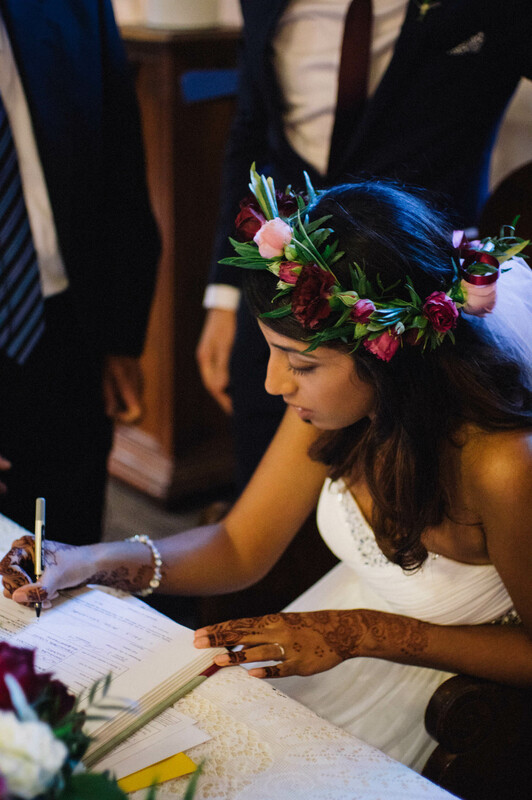 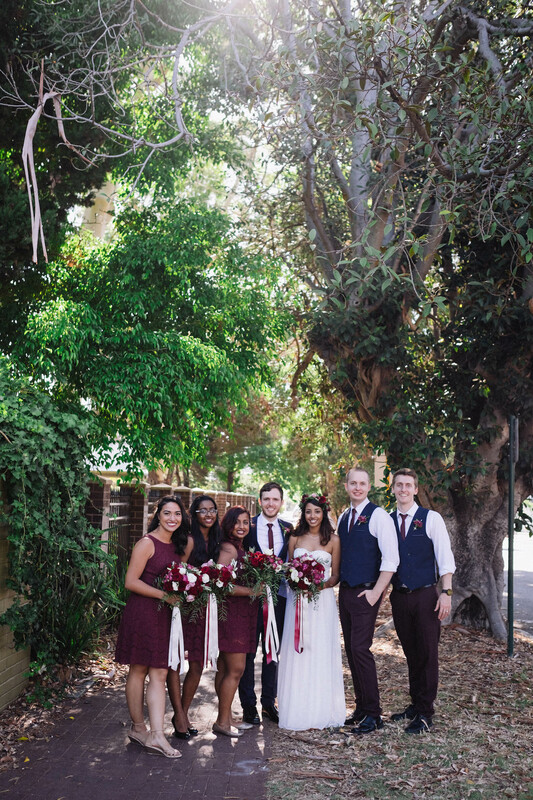 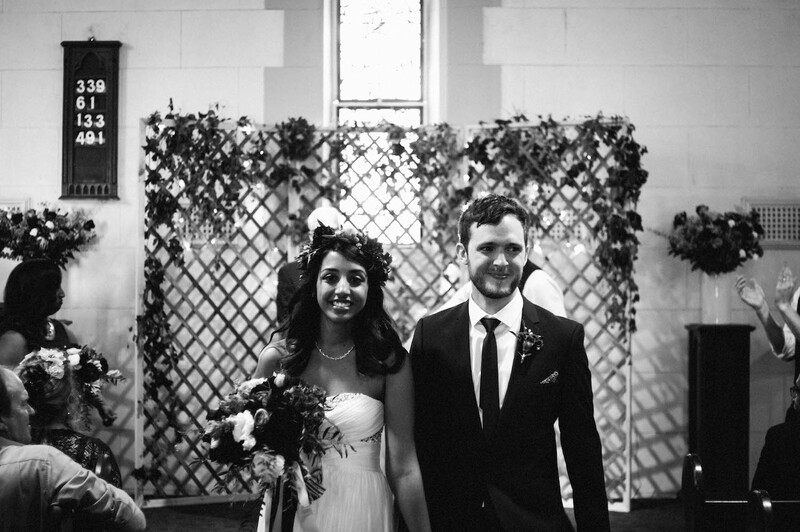 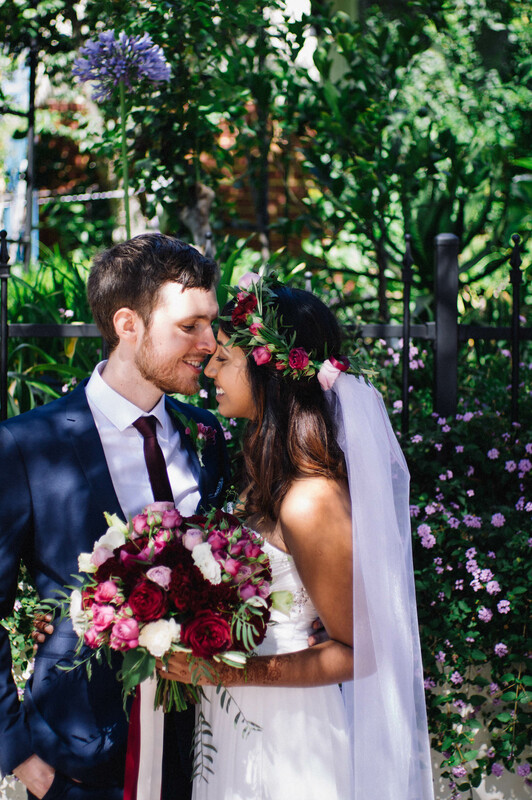 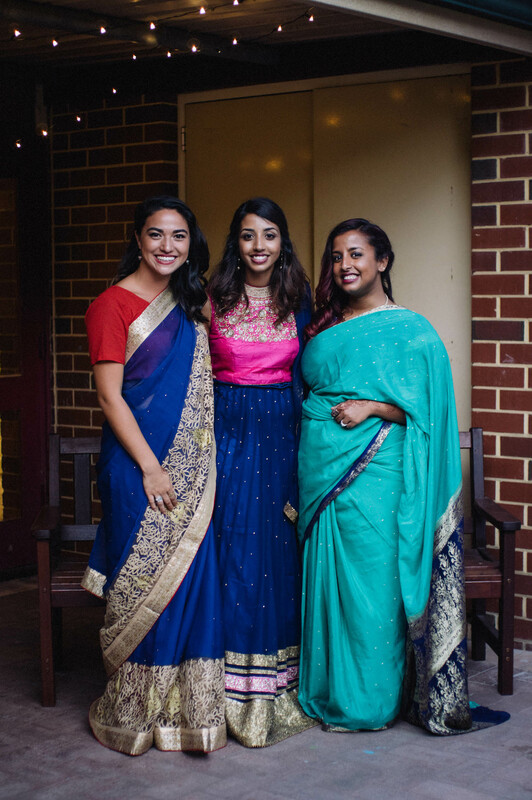 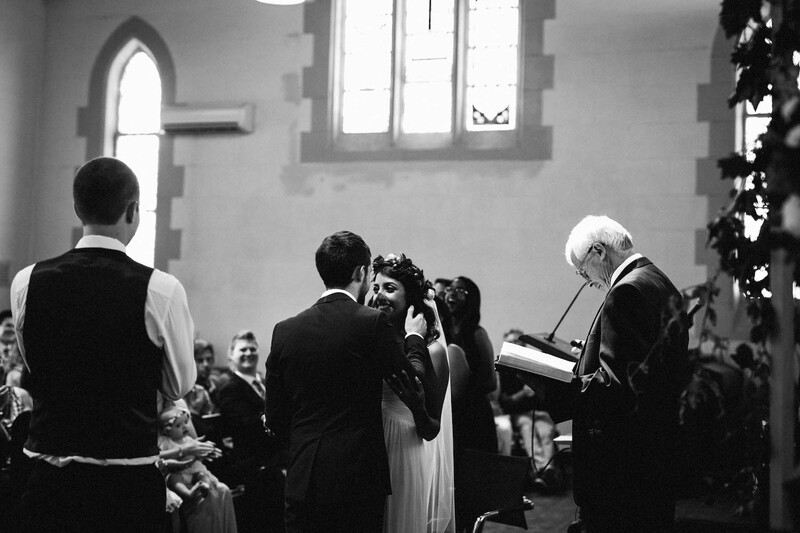 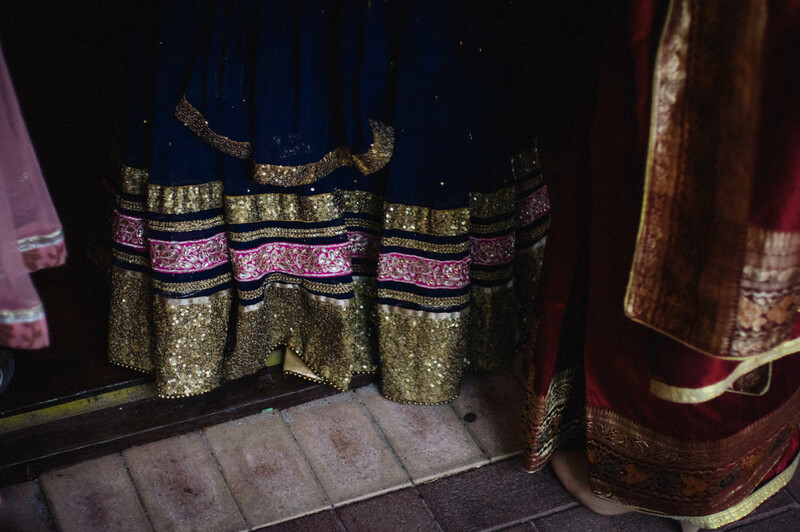 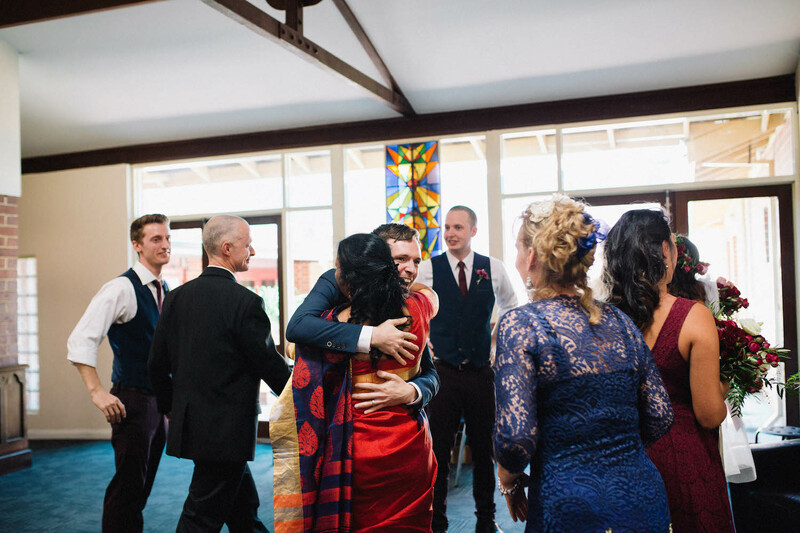 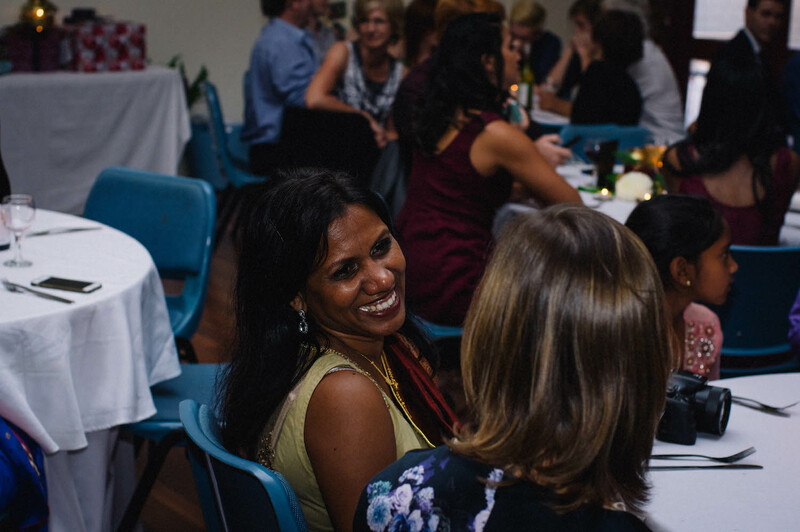 Jibb & Tripthi had their Subiaco wedding early last year at St Matthew’s Anglican Church, putting an end at long last to years of long distance. 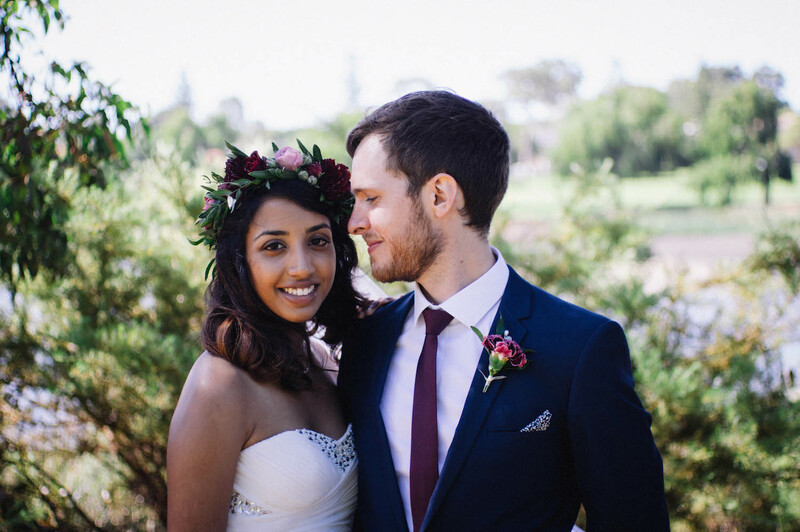 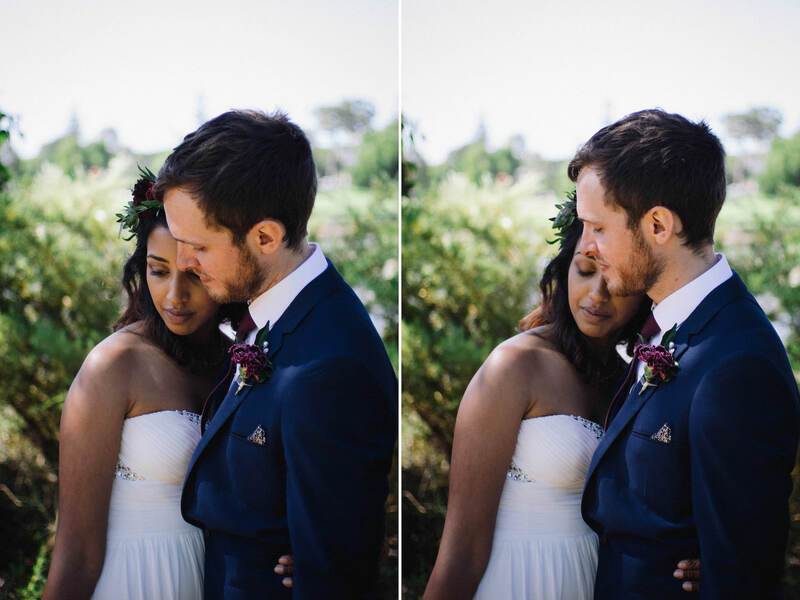 They met in Canada (although Jibb is Australian & Tripthi is Indian) through mutual friends, but spent most of their first few years together on opposite sides of the world after Jibb moved back to Perth. 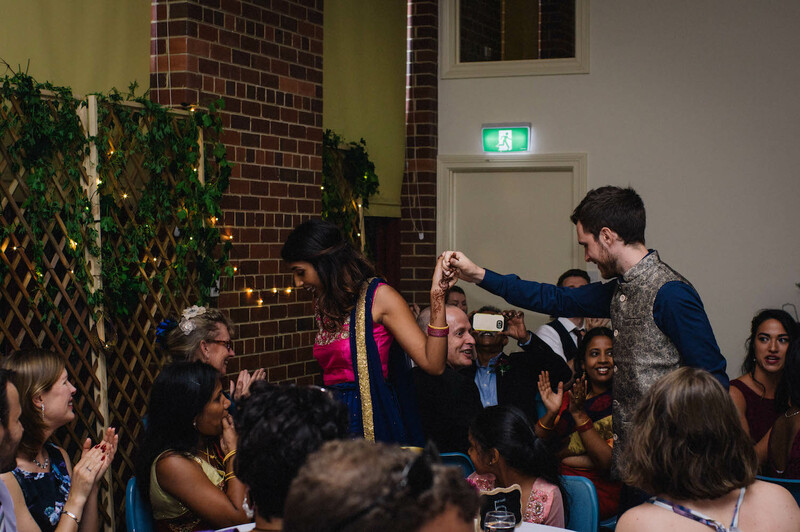 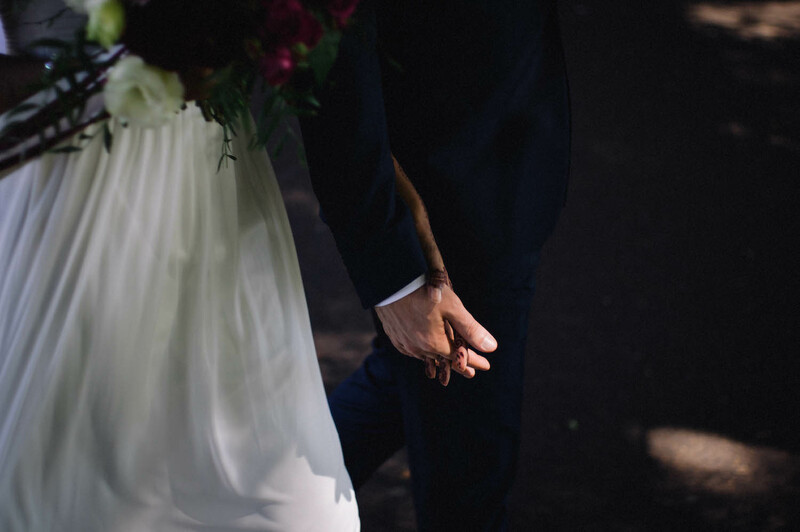 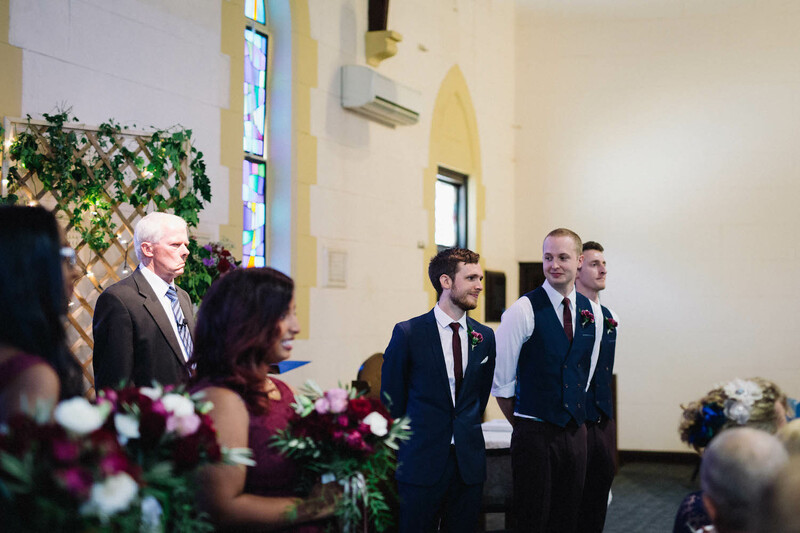 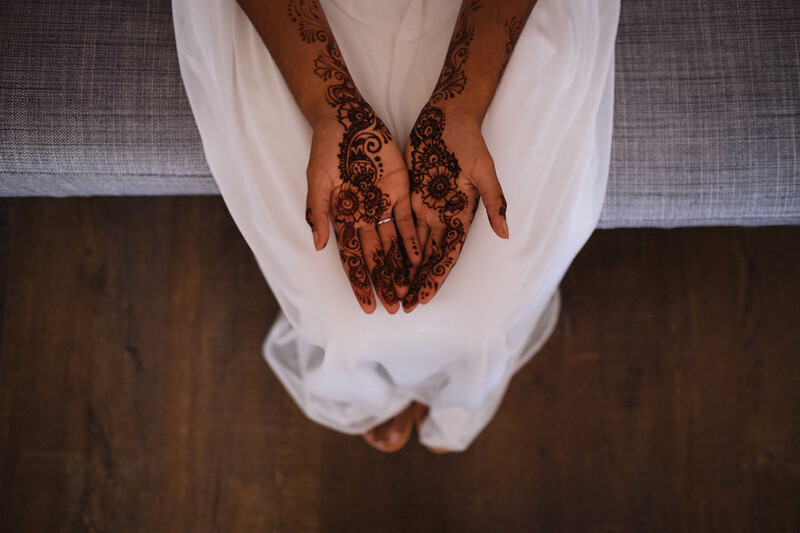 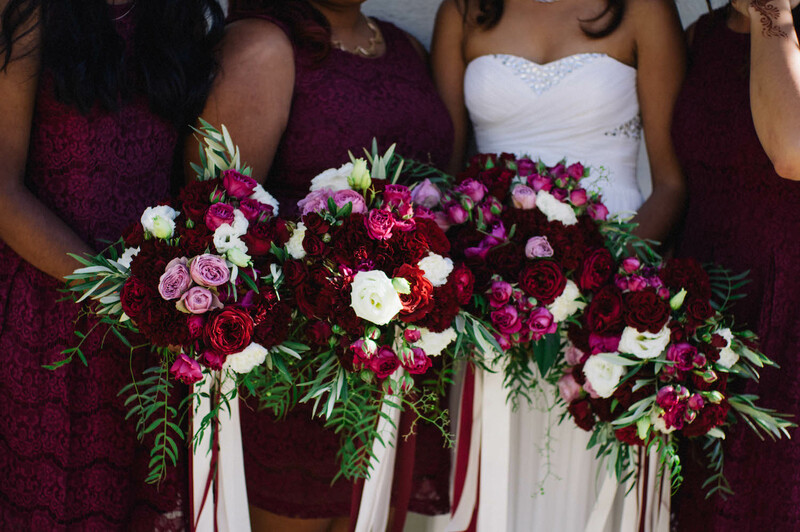 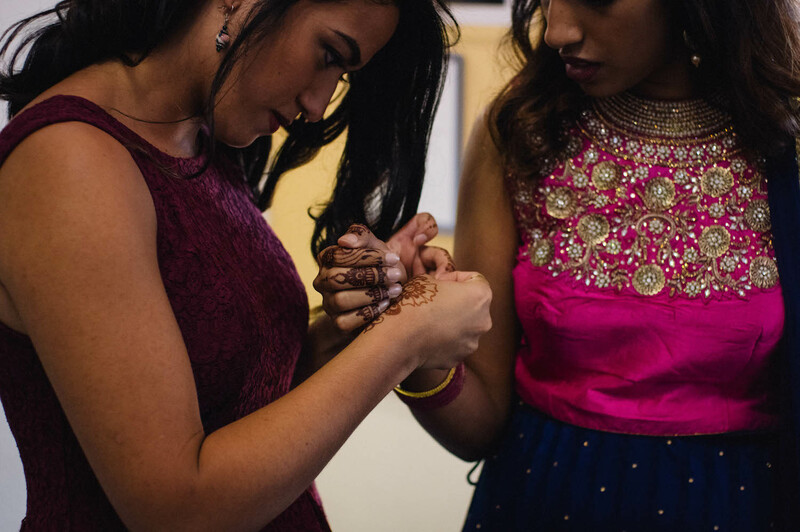 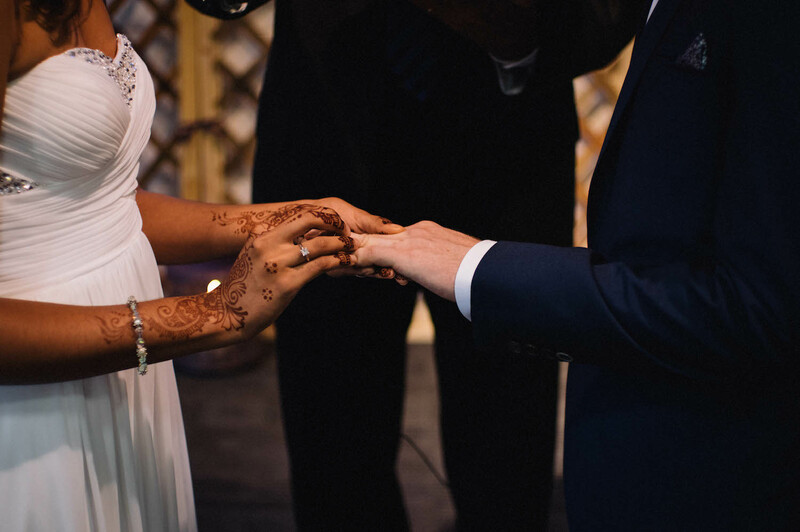 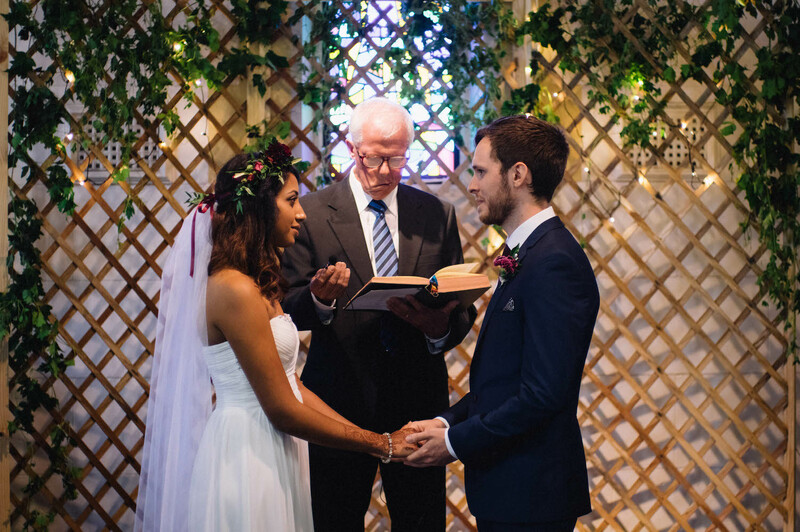 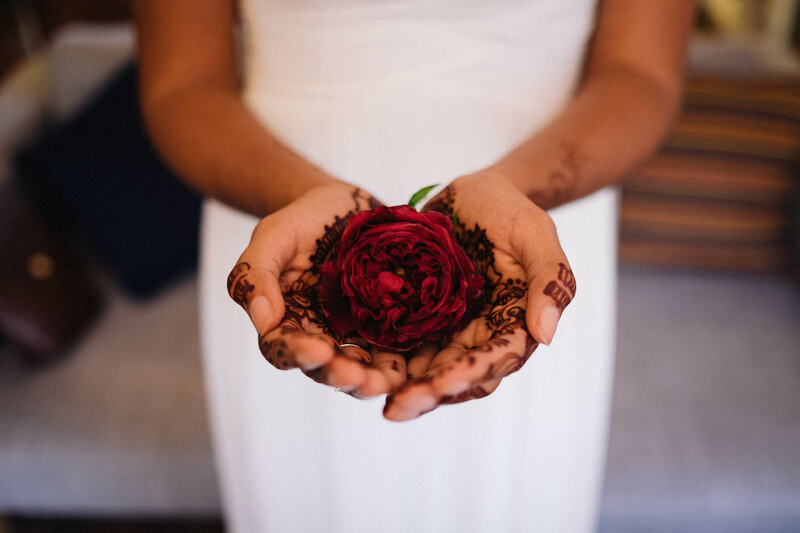 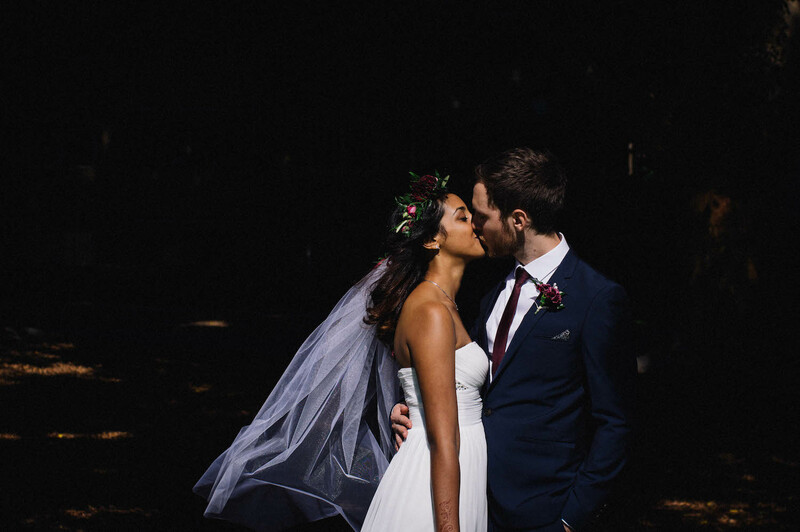 After wading through visa applications, they were finally able to marry each other in January, with family & friends flying in from India, South Africa and (of course) Canada to celebrate the day. 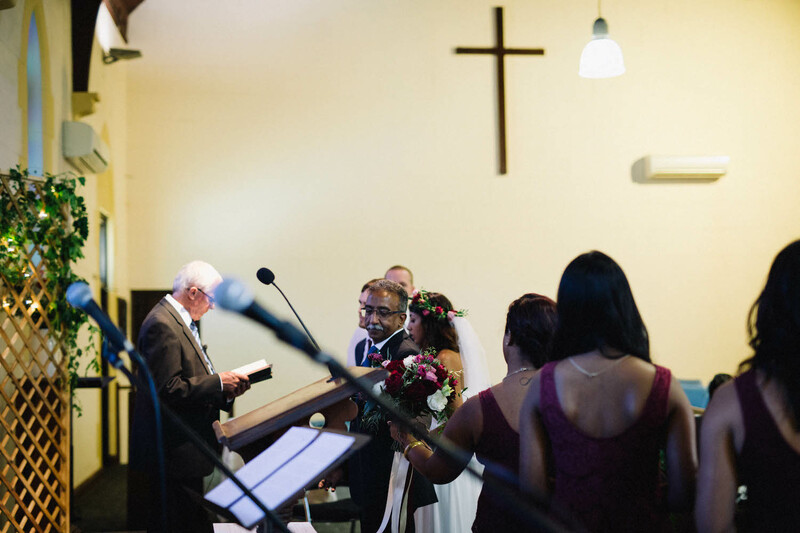 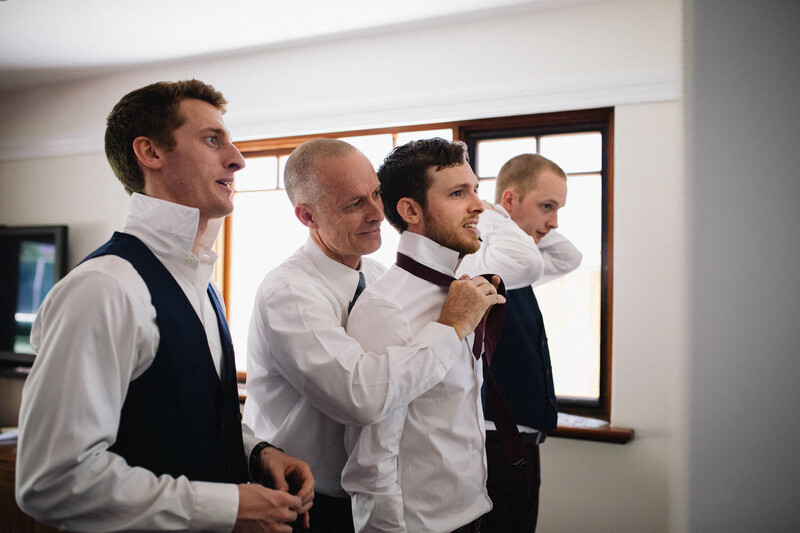 A live feed streamed back to friends abroad, many of whom had dressed up for the occasion despite the near-12-hour time difference – it’s times like these that unplugged ceremonies lost relevance and I don’t mind an iPhone blocking the view down the aisle! 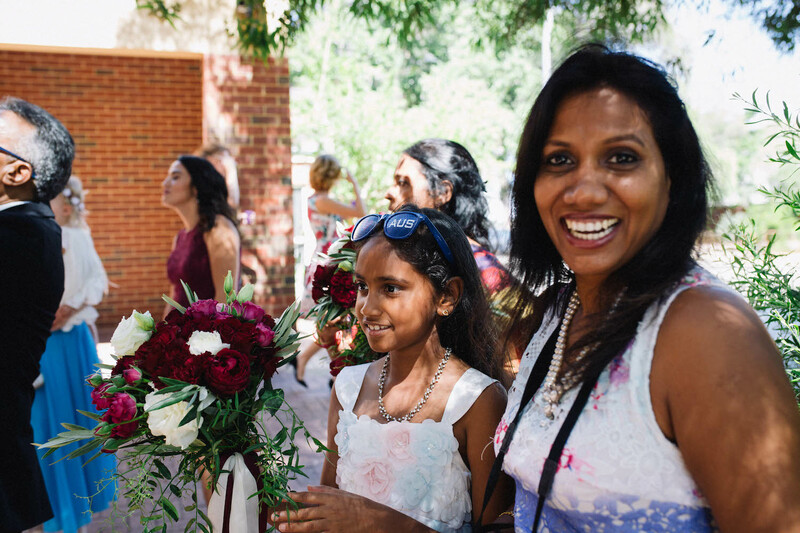 Jibb & Tripthi’s wedding was an incredibly beautiful community effort, as friends & family pitched in to create the perfect day for them. 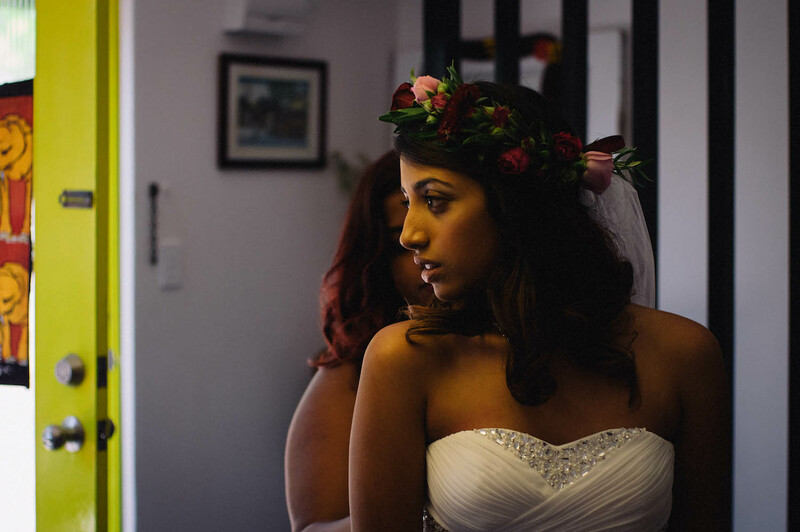 Jibb’s Mum especially began making decorations long before wedding and slowly sent things over from South Africa for whenever the day would finally arrive. 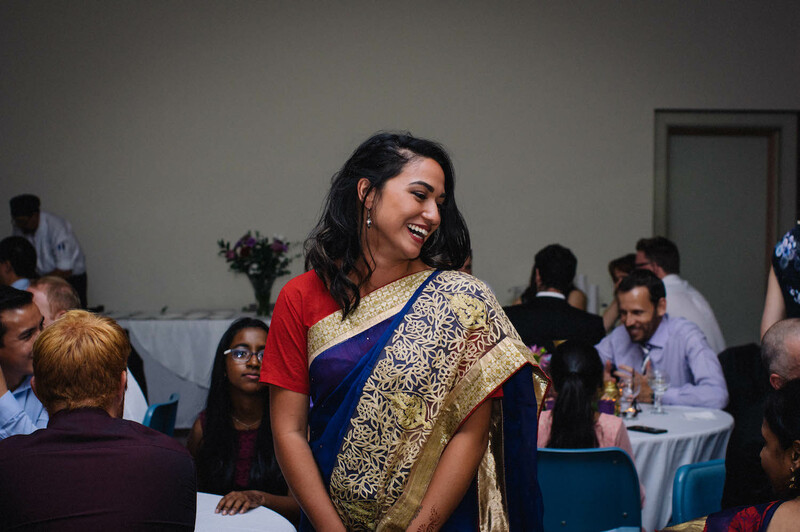 It was a stunning day with tributes to all the various places they’ve called home, and so incredibly wonderful to be a part of. 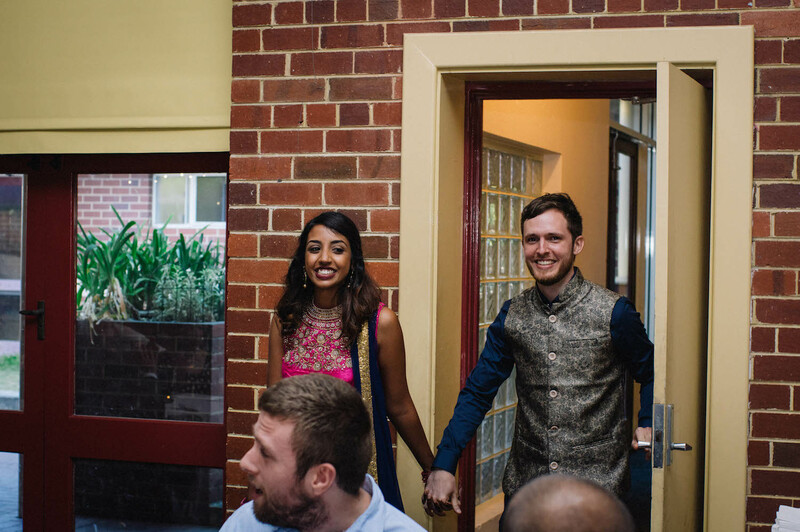 These two were so overjoyed to be together at long last (during the photos, I said ‘thanks for trusting my bizarre instructions’, and Jibb replied, ‘thanks for asking me to kiss Tripthi!’), and I had to remind myself constantly that I was there to take photos and not as a guest because everyone was just so friendly! 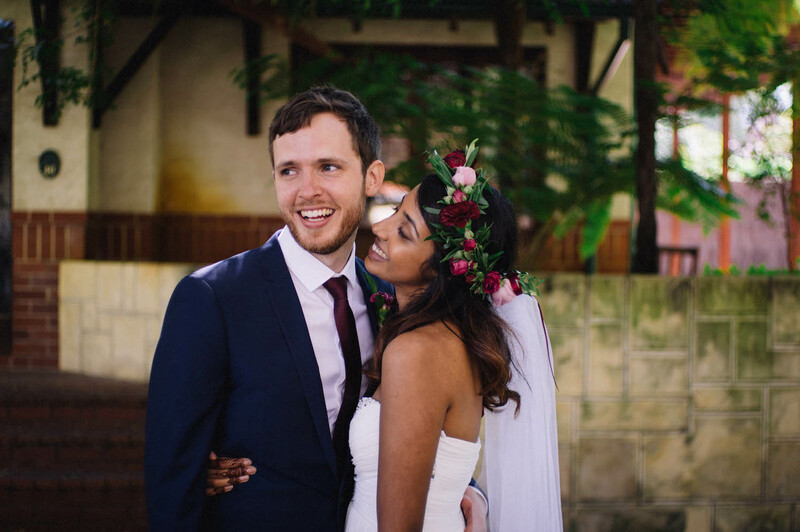 Happy first anniversary Jibb & Tripthi. 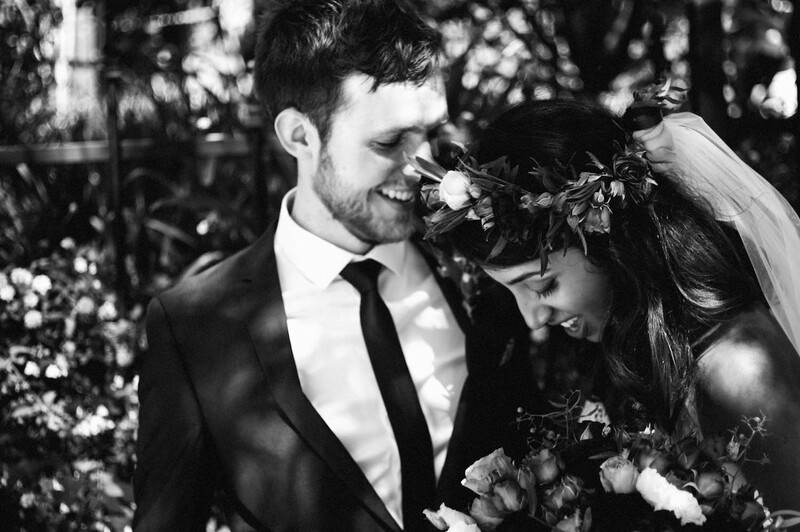 I hope you’ve had the most wonderful first year together. 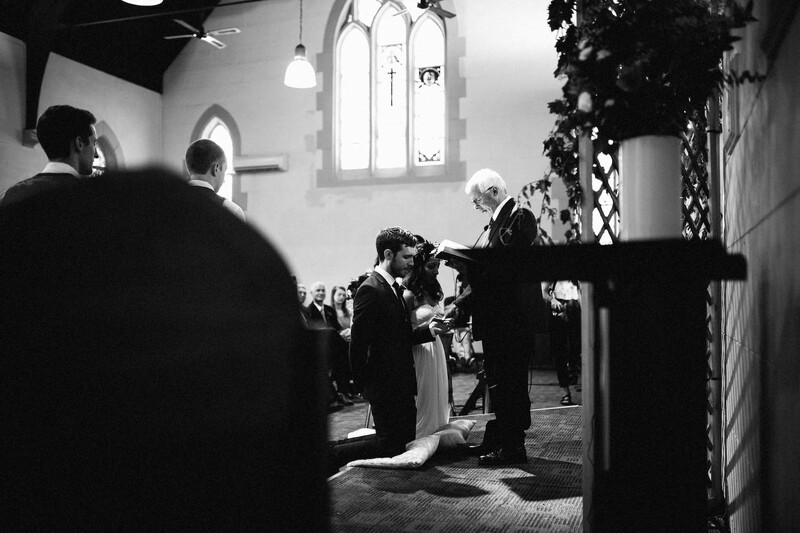 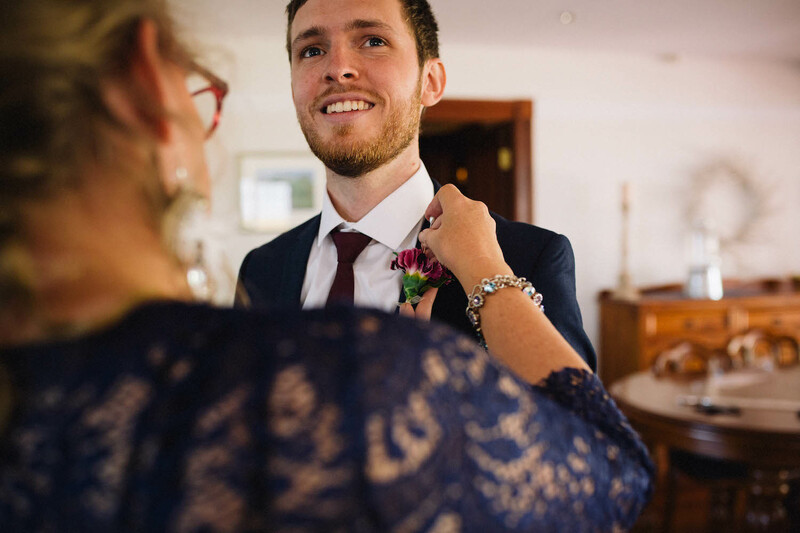 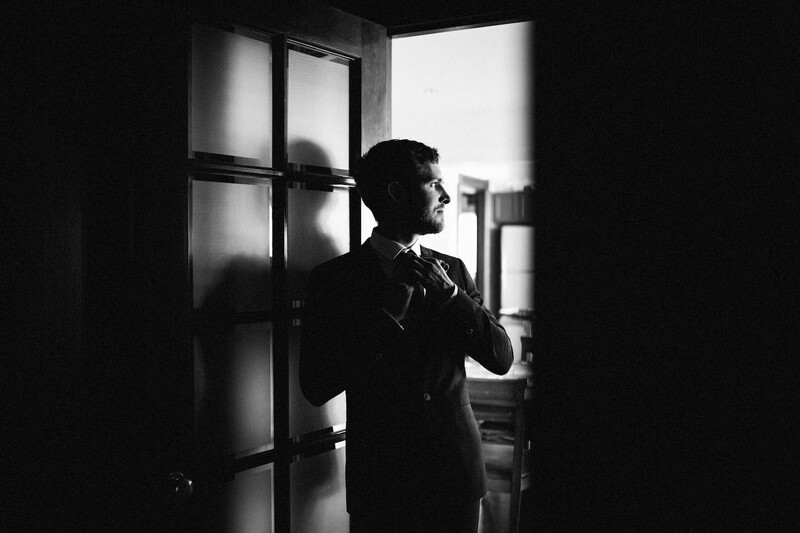 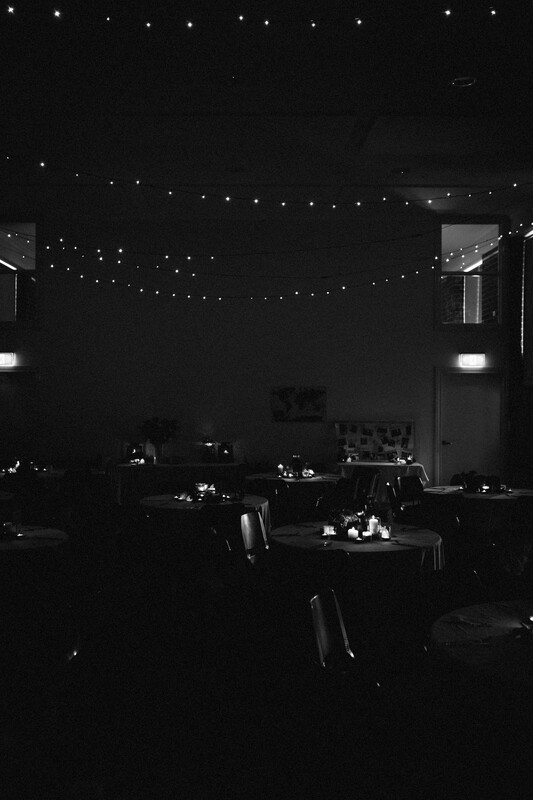 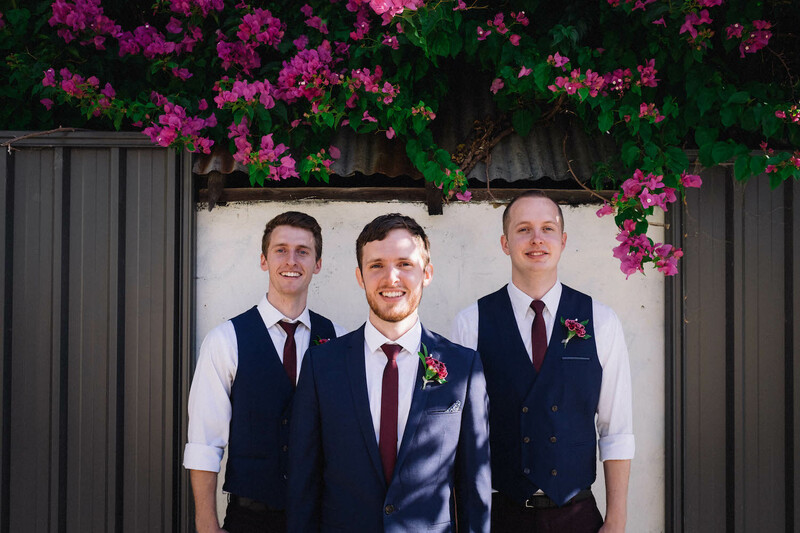 If you’re interested in booking me to photograph your wedding – analogue or digital, and wherever in the world – please do get in contact! 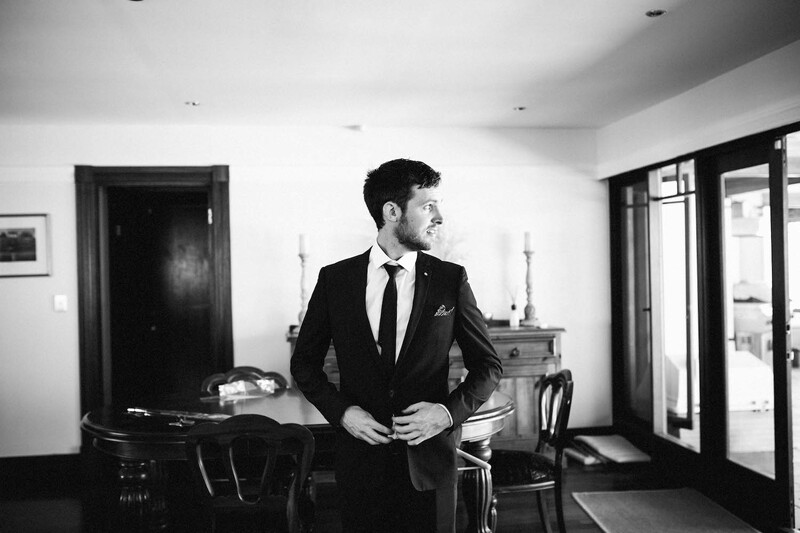 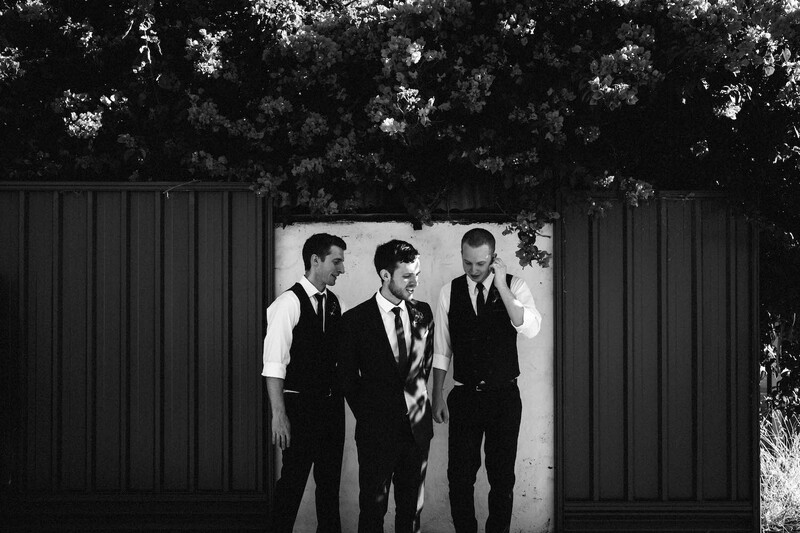 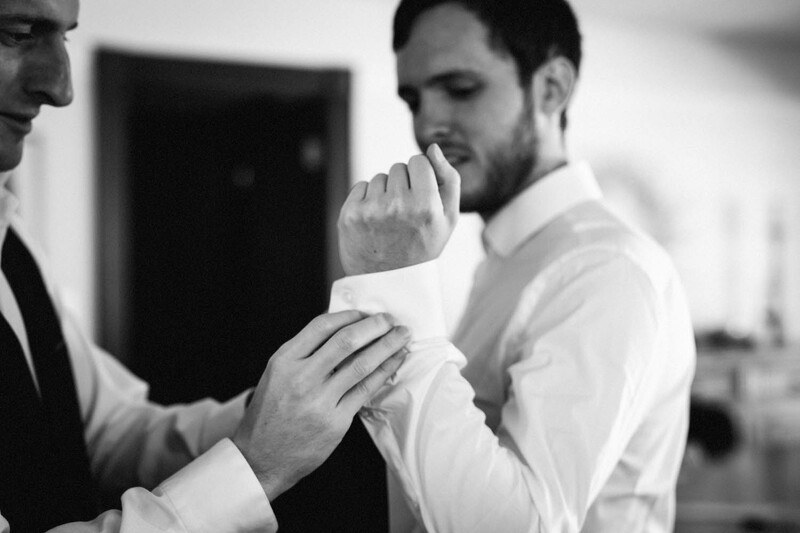 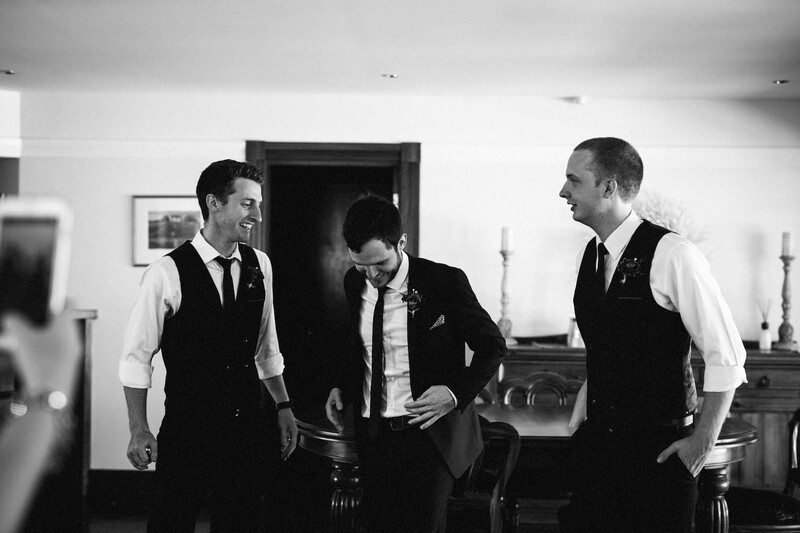 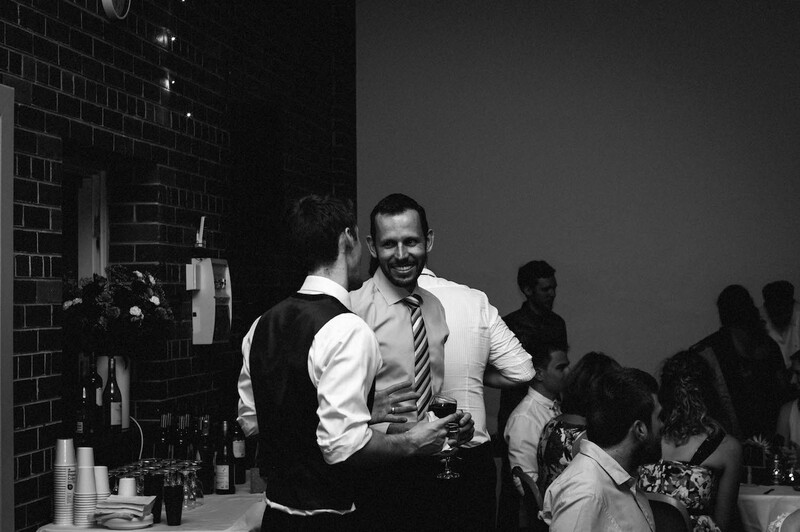 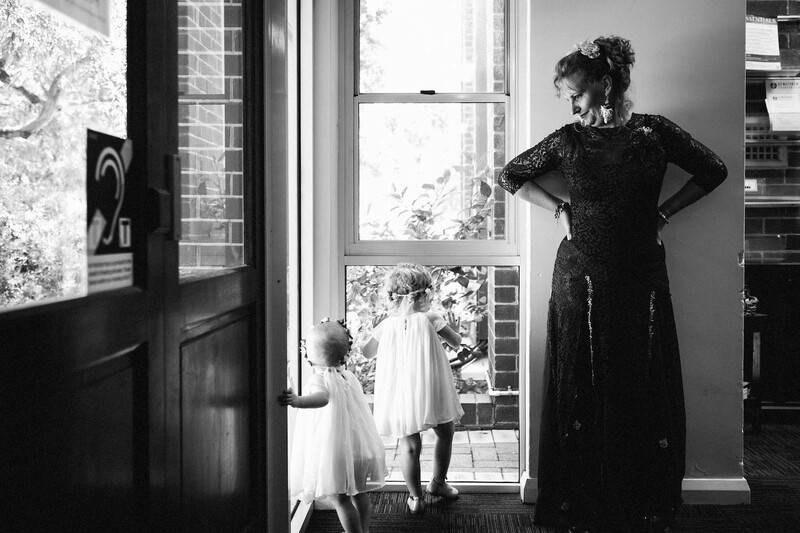 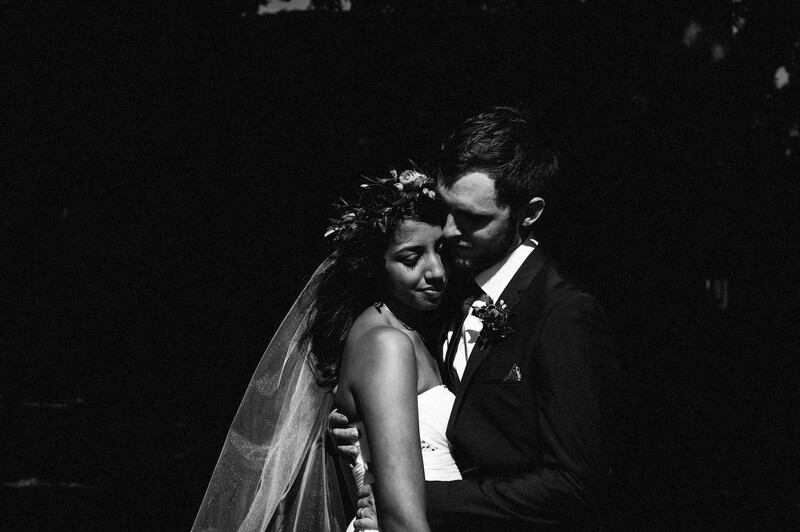 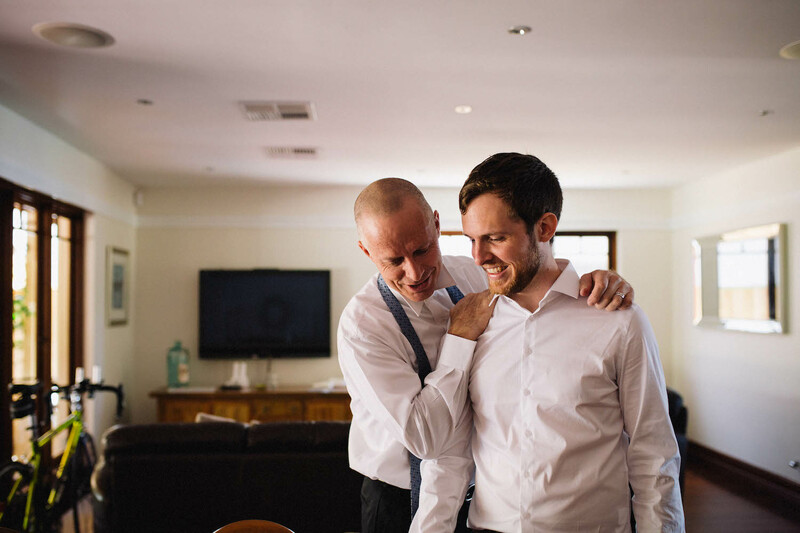 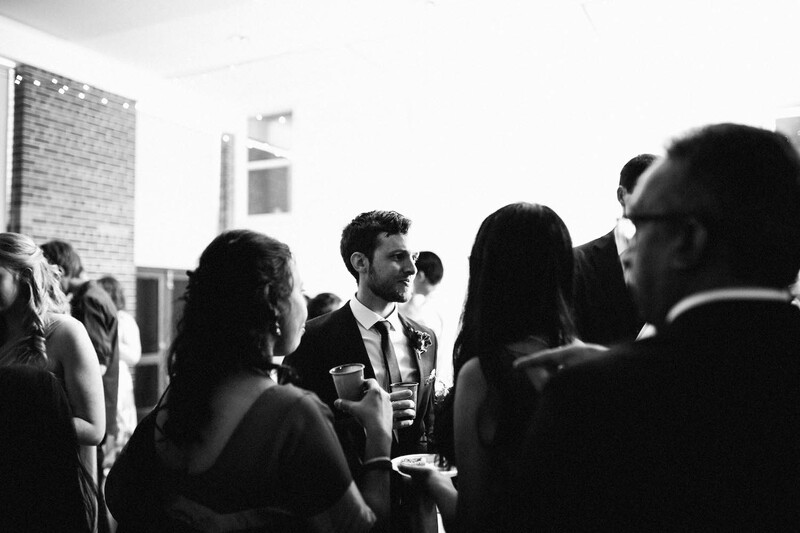 I’d love to capture your day for you & yours to look back on for years to come.